The Danish oil and shipping company Maersk finds itself in turbulent seas following the revelations that 14 of its ships were scrapped on notorious beaches in Bangladesh and India in 2013 and 2014. Outwardly, the company blasted the use of the scrapping beaches, but meanwhile it was reportedly earning money by pushing a German shipping company to try and get the best steel price at the very same beaches for 14 of its ships, according to confidential contracts Politiken, TV2 News and DanWatch are in possession of. Maersk negotiated with the German company MPC Capital about ending a contract regarding the 14 ships that Maersk had chartered from them. Maersk wanted to take the ships off the market to be scrapped, and as part of the contract MPC was under commitment to get the highest possible price per tonne of scrapped steel. That pushed the Germans towards the notorious scrapping beaches. Of the 14 ships, 11 were broken up on an open beach in India, while the remaining three were scrapped in Bangladesh. It’s not the first time that Danish ships have been found on the contentious scrapping beaches, which employ impoverished workers in dangerous conditions for pay that can be as low as 2.5 kroner an hour. 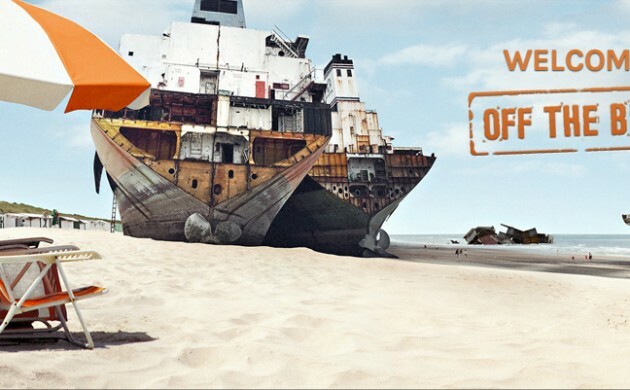 According to ship scrapping watchdog website offthebeach.org in 2014, 11 Danish shipping companies and subsidiaries sent 18 ships to be scrapped at the notorious scrapyards in India, Pakistan and Bangladesh from 2010-2014.